A University on the rise seeks a leader with vision. The University of South Florida is a dynamic, young, agile university system on an incredible trajectory. One that recently made it one of only three Preeminent State Research Universities in Florida, and the only one in a major metropolitan area, and earned Phi Beta Kappa’s newest chapter designation. Currently three separately accredited institutions, USF is in the process of consolidating all three under the Florida Excellence in Higher Education Act, which will strengthen the University’s position nationally and internationally and pave the way for even higher standards and further growth. The successful candidate must have the experience, vision and drive to continue this trajectory. They must possess the leadership skills and commitment to sustain preeminence, improve the University’s national reputation, and continue building synergy between education, research, fundraising, financial stability and service to a diverse socioeconomic community. The President will represent the University and all its interests nationally and internationally and will report to the University of South Florida’s Board of Trustees. Home to a student body of over 50,750 students representing 145 countries. Ranked #58 among public universities and #124 among all universities according to U.S. News and World Report’s 2019 National University Rankings. 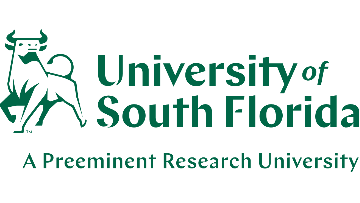 Designated a “Preeminent State Research University” by the Florida Board of Governors in 2018. Recognized by The Education Trust as being #6 in the nation for eliminating the completion gap between black and white students, #4 for Latino student success, and #1 in the State of Florida (2017). Ranks 1st in Florida, 5th in the nation among public universities and 12th worldwide for granted U.S. patents, according to the Intellectual Property Owners Association. $568 million in total research expenditures in 2016/17, placing USF 25th in the nation among public universities according to the National Science Foundation. $1.8 Billion Annual Budget and $4.4 Billion Annual Economic Impact. Highest MCAT Scores in the State of Florida. Athletics programs that serve over 500 student athletes with an 84% graduation rate competing through 19 varsity teams in 11 different sports. 16 conference titles since joining the American Athletic Conference in 2013. Greenwood/Asher & Associates, Inc. is assisting the USF Board of Trustees in the search for the next president. Applications and nominations are being accepted. Screening of applications will continue until an appointment is made and applications are encouraged to be submitted by March 15, 2019. Applicants are encouraged to submit a letter addressing how the candidate’s experience and skills match the position requirements, a CV or résumé and contact information for at least five references. Individuals wishing to nominate a candidate should include the name, position, address and telephone number of the nominee. This search is being conducted under Florida law, including the Sunshine law and public records law. For more information about the University, please visit https://www.usf.edu/. If an accommodation due to a disability is needed to apply for this position, please call (352) 392-4277 or the Florida Relay System at (800) 955-8771 (TDD). The University of South Florida is an Equal Opportunity Employer.